With the series already lost and just 40 runs in four innings, Joe Root's tour had been one he would probably rather forget but by the time England wrapped up a comprehensive victory at the Darren Sammy Stadium his reputation as a batsman, a captain and simply as a human being had been greatly enhanced. In truth, while he has struggled to find his most fluent form in the Caribbean, Root's quality as a batsman has never been in doubt and even his low scores in the Barbados and Antigua came with the caveat that three of his four dismissals were to nigh on unplayable deliveries. Nevertheless, after just 15 in the first innings, it will have been a relief to everyone associated with England, not least the man himself, to see Root grind his way through a tricky spell at the start of his second innings and end the day having gone through to his 16th Test hundred - rediscovering some of the rhythm that had alluded him of late, along the way. As captain, he can no longer focus solely on his batting but with the top-order remaining a real concern (more on that later), England will need their one truly world-class Test batsman at his best when they come up against Australia's fearsome pace attack this summer. 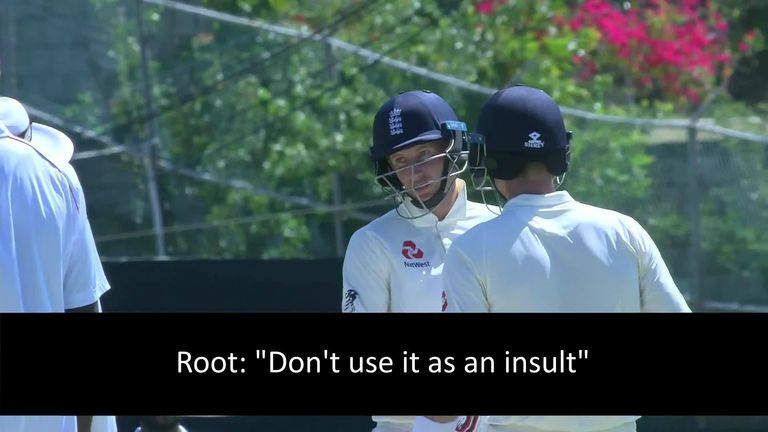 More important though, was a moment midway through Root's innings and an exchange with Windies bowler Shannon Gabriel, during which the stump microphones picked up Root saying, "don't use it as an insult. There's nothing wrong with being gay." What Gabriel said to prompt that response was inaudible on the stumps mics but the 30-year-old seamer accepted an ICC charge following the incident and will miss the first four matches of the ODI series. Root has been roundly praised for challenging the use of homophobic language and the manner in which he did so. A good Test all-round for Root. England's downfall in the first two Tests was largely down to the failings of the batsmen but it was telling that the Windies pace attack - and pace is the operative word - got so much more out of an extremely bowler-friendly surface in Antigua than the tourists' seamers. There had been no great outcry when Mark Wood was left out but it took the Durham man just one over to show England exactly what they had been missing. He had both Shai Hope and Roston Chase caught at gully, fending off ferocious deliveries and never looked back. Wood's spell was the quickest of any bowler, on either side, in the series - his fastest ball was clocked at 94.6mph - and the sharpest by an England bowler in a decade. He had four wickets by the end of it and came back to complete a maiden Test five-for. His speeds were down slightly in the second innings, perhaps unsurprisingly given his lack of game-time in the series, and it remains to be seen whether he can replicate such fiery spells over the course of a five-match series. But, at the very least, Wood has provided a timely reminder to the selectors of the value of having a genuine pace bowler in your armoury, especially away from home. England belatedly find right balance? Wood's inclusion came after a complete re-jig of the England XI. There were only two personnel changes - Keaton Jennings and Wood in for Ben Foakes and Sam Curran - but plenty more to the batting line-up, most notably Jonny Bairstow dropping down to No 7. Foakes could certainly be considered very unfortunate to be dropped but the bowling attack appeared England strongest of the series and undoubtedly proved itself to be the most suitable for the conditions. "Confusion doesn't even cover it!! @markbutcher72 and @robkey612 are far from impressed at England's selection policy for the third #WIvENG Test. All's well that ends well, then? Perhaps, but the way Bairstow has been moved up and down the order led Mark Butcher to suggest a muddled selection policy while Michael Atherton noted the lack of another top-order batsman in the squad, a decision that meant the out-of-form Jennings was recalled. "There is confusion everywhere and you can see it by that selection," Butcher said. "England know that the top three is their point of weakness. They are strong from four to eight in the batting line-up and with their new-ball bowling attack," Atherton added. "The real issue is the top three and they haven't had anywhere to go; that's why Jennings is playing this game." 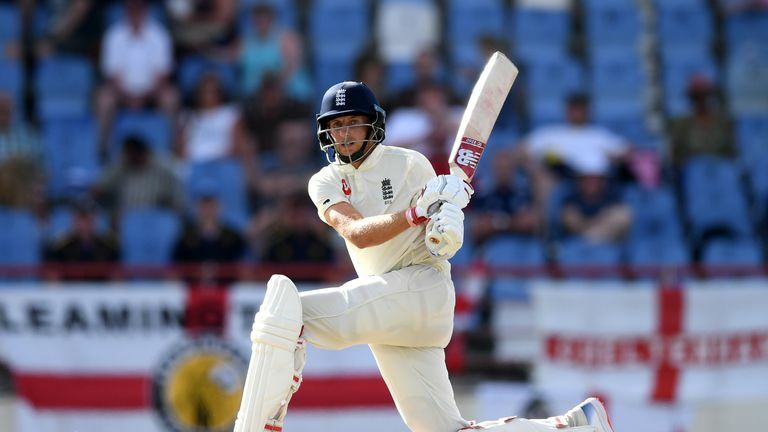 A back-to-basics approach to selection worked for England in St Lucia but the concern will be that it took until the third Test, with series already lost, to find a balance that worked. It is getting more and more difficult to say anything original about England's top-order problems, the issue is a longstanding one and it shows no sign of resolving itself any time soon. As Atherton pointed out, Jennings' recall was as much down to a lack of alternatives in the squad as anything else and despite showing admirable grit in the second innings prior to a highly unfortunate dismissal, bowled via his trouser pocket, it would surely take a remarkable run of form with Lancashire, as well as some not insignificant tweaks to his technique, for him to come into consideration again any time soon. Rory Burns remains something of an enigma. He looks comfortable at Test level right up until the point he gets out - and he has found a remarkable number of different ways to do so in his short Test career - but his average of 25 in six Tests is lower than Jennings' and, after scores of 29 and 10 in St Lucia, he'll know that he has plenty of work to do cement his place in the side for the first Ashes Test. Meanwhile, Joe Denly showed a great deal of poise in scoring 69 during the second innings. That came at No 3, a fact that confuses matters even further where the Kent man is concerned. If the selectors decide his knock in St Lucia was enough for him to keep his place in the side, does he stay at three or does he go back to the opening spot he occupied in the previous game? Quite simply, with just one four-day Test against Ireland to play before the Ashes, who will make up England's top three at Edgbaston on August 1 is still anybody's guess. Having already wrapped up the series and with captain Jason Holder suspended, that the Windies' performance level dropped is not altogether surprising, in hindsight. They looked weary in the field on day one and could offer little resistance to Wood's barrage on day two but despite the result, the quality and fighting spirit that exemplified their displays in the first two Tests was still in evidence on days three and four, in particular. Keemo Paul's injury left them a bowler down but Gabriel, Kemar Roach and Alzarri Joseph plugged away throughout day three and made sure England's batsmen could never relax. That refusal to go down without a fight came through again on day four. 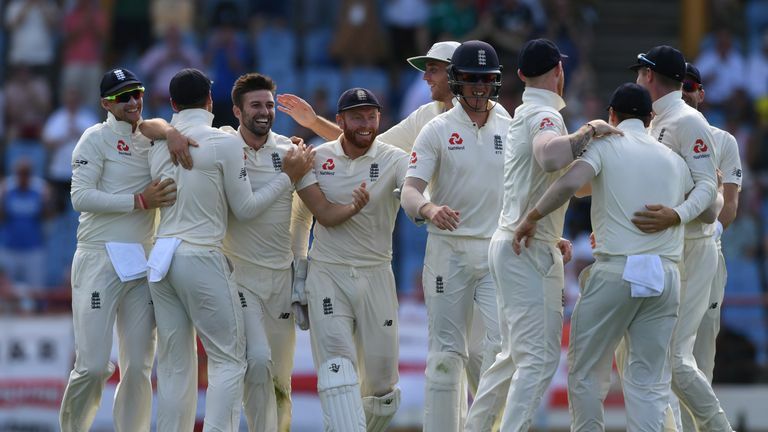 Jimmy Anderson's masterful spell with the new ball left the top order in tatters but Chase hung in there, gradually built an innings before going into one-day mode late on to reach his fifth Test century. Windies now have the challenge of maintaining the form they showed in this series and proving that this is the start of their re-emergence as a force in Test cricket, not just a one-off.